Is there any more beautiful—and otherworldly—colour than blue? No other colour in my experience appears and disappears with such unpredictability! Blue surrounds us in our daily lives and it is as vast as the sky and the ocean itself. But, try to take hold of it and all you’ll be left with is a handful of air or water. 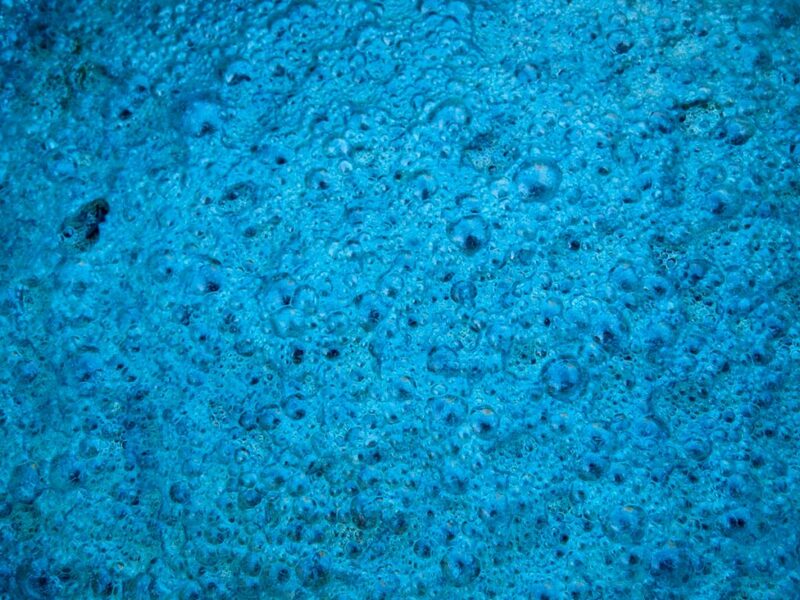 Natural blue pigments are equally ephemeral and seem transient between this world and the other: Grind a bit of azurite a little to long and the colour will disappear, or don’t offer your prayer fervently enough when mixing a kettle of woad and all you’ll create is green sludge. And then there are black minerals, like vivianite, which disclose their blueness only once their rocky physicality is removed and a shapeless powder is all that remains. It always takes a little bit of magic and luck to create blue pigments.